Two suspected spies, Burgess and Maclean, have disappeared, and the nation is obsessed with their whereabouts. Speculation is at fever pitch when Colin Harris, a member of the Communist Party who has been in Germany for several years, turns up to see his old friends Dinah and Alan Wentworth. He has news: he has fallen in love with a girl in East Berlin, and is coming home – with her – for good. Meanwhile, Jack McGovern, who sometimes feels like the only decent man in Special Branch, has a rendezvous with a real spy. Miles Kingdom thinks there’s a mole at MI5, and he wants McGovern’s help.A novel about secrets, betrayal and unearthing the truth, The Girl in Berlin is a reminder that when nothing is as it seems, no-one can be trusted – even those you think you know best. 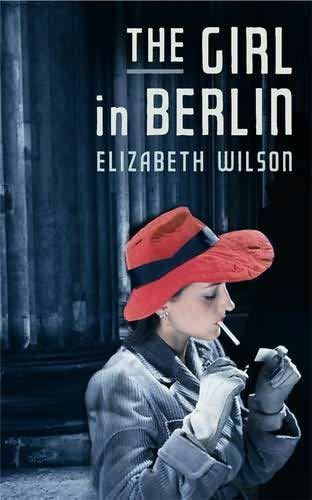 You can read about the story behind The Girl in Berlin here on Upcoming4.